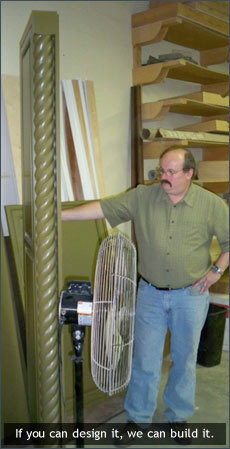 We can build your custom designed cabinets in 1/8” increments. Combine cabinets for quick, clean installations. Cabinets can be combined to 96” wide at no upcharge. Framed cabinetry choices: Traditional Overlay, Full Overlay, Inset. Natural Birch Veneer is standard with stained finishes. Matching Painted Interior is standard with painted finishes (base color on Glazes). Custom finish and/or specie interiors are available. Choose any standard Sherwin Williams Paint finish at no upcharge. Change the look of a door style by altering the rail stock, panel raise and edge. This is an example of what you can do with a single Brubaker door style.